My latest article at Clearance Bin Review delves into the psychological and sociocultural reasons for why we seem to be so obsessed with zombies lately. They are everywhere in our pop culture and mass media, and their fans organize charity events and protests. 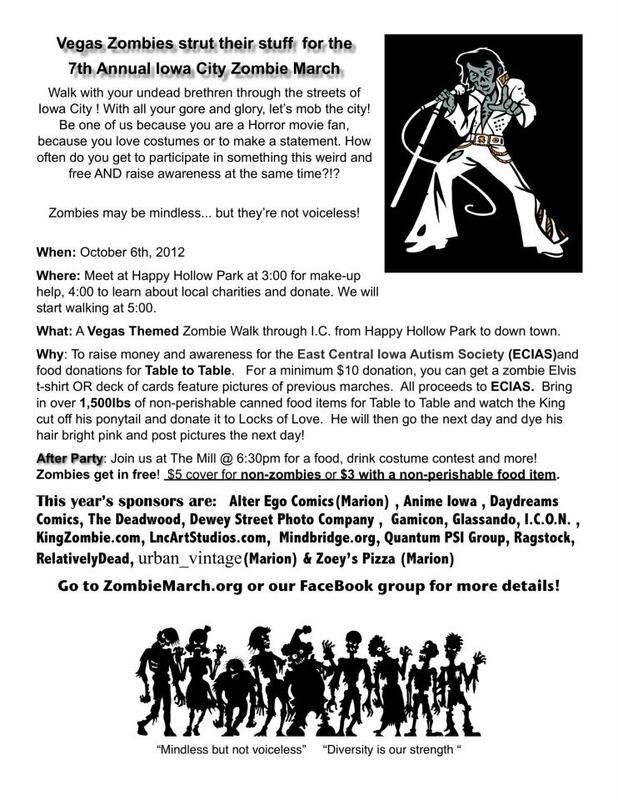 Speaking with a fellow fan of zombies (who organizes events like the one below), we discuss their realism as their staying power, and how the uncertain times we live in only fuels our obsessions with zombies and preparing for the (unlikely) zombie apocalypse.